The Outpatient Clinic can provide patients with physiatry, neurology neuropsychiatric treatment, education about brain injuries and assistance accessing existing community resources. The Outreach Service is provided to individuals with acquired brain injuries after their discharge from inpatient units. This service is designed to facilitate a smooth transition to the community and is essential to the individual’s ability to maintain the gains made while in the hospital. The Outreach Service also serves individuals who have been referred directly from the community who have not had a hospital admission. The ABI Crisis Management Team provides a quick response to ABI survivors and their families who are in severe difficulty or at high risk of danger to themselves or others. The ABI Outpatient Clinic sees individuals with severe, moderate and mild brain injury. These individuals usually live at home or in community facilities. The focus of the clinic is on assessment and problem solving for individuals with known or suspected brain injuries. The Outreach Service is available after your discharge from an inpatient unit. It is designed to facilitate a smooth transition to the community and is essential to your ability to maintain the progress you made while in the hospital. The Outreach Service also serves those who have been referred directly from the community who have not had a hospital admission. Frequency of direct contact with staff varies depending on the your needs and identified goals. Staff assist you with returning to community living within the your social, vocational, recreational, and academic goals. Upon discharge from an inpatient rehabilitation program, you will be assessed to determine if you require outreach involvement based on the outreach criteria and the support systems available to you after discharge. If you require outreach services, outreach will be involved for approximately 4 to 6 weeks to ensure the transition to your new living environment is successful and that all recommended services are in place. Following the 4 to 6 weeks, the Advanced Rehabilitation Therapist will determine if there is a further need for outreach and place you back on the list. Referrals for crisis management are accepted from across the province for individuals who are in immediate need of resources or who require extensive behavioural intervention and advocacy. This is not a 24-hour service program; however, if in need of immediate assistance from our ABI team please contact our Intake Office at 905-521-2100. Emergency Stabilization (Same day response, Urgent Service): Immediate response to crisis. Pre-intake services including directing clients and their family to emergency psychiatric treatment, local police, COAST (Hamilton), Canadian Mental Health Association, ACTT and emergency housing. Crisis team response can also include developing crisis protocols for clients, care providers, families, etc. Systems Advocacy (Non-Urgent Service): Assistance provided to the client and their family in order to access and understand the mental health system, the criminal justice system, or relevant legislation (Statutes & Acts). Education is also provided to individuals providing service to the client, e.g. caregivers, physicians, social workers, discharge planners, lawyers, crown attorneys, etc. Behavioural Education & Training (BEATS): Behavioural management programs for agencies, residential programs, nursing homes, and community providers including education and follow-up. Coordination of Support (Non-Urgent Service): Identification and facilitation of access to services including community programs, mental health services, ABI inpatient or outreach programs, addictions treatment programs and aftercare support, hospitalization, and physician referrals. Direct Support (Non-Urgent Service): For clients unable to access available support or when no support is available. The Crisis Management Service can provide regular and direct follow-up visits or phone contact on an interim basis. This involves using the least intrusive approach, and emphasis is placed upon therapeutic rapport. Environmental Change (Non-Urgent Service): Access to alternative housing for clients experiencing problems secondary to their environment. Clients may suffer difficulties ranging in cause from isolation and lack of supervision to too much structure and demand. Environmental change can also include alteration of the environment or change in caregiver approach, expectations, and responsibilities. Resource and Funding Advocacy (Non-Urgent Service): Advocacy for resources and the funding necessary to support those resources. 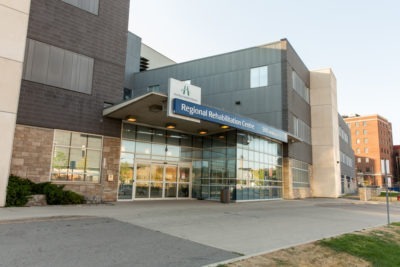 To be seen by one of our specialists in our ABI outpatient clinic, a referral form must be completed by a medical doctor and faxed to our intake office 905-577-8231. Youwill be assigned a Community Intervention Coordinator (CIC) who will contact you prior to scheduling an appointment to determine the best care path.